All Bedford homes currently listed for sale in Bedford as of 04/23/2019 are shown below. You can change the search criteria at any time by pressing the 'Change Search' button below. If you have any questions or you would like more information about any Bedford homes for sale or other Bedford real estate, please contact us and one of our knowledgeable Bedford REALTORS® would be pleased to assist you. "Beautifully Crafted Corner Lot on almost full acre! 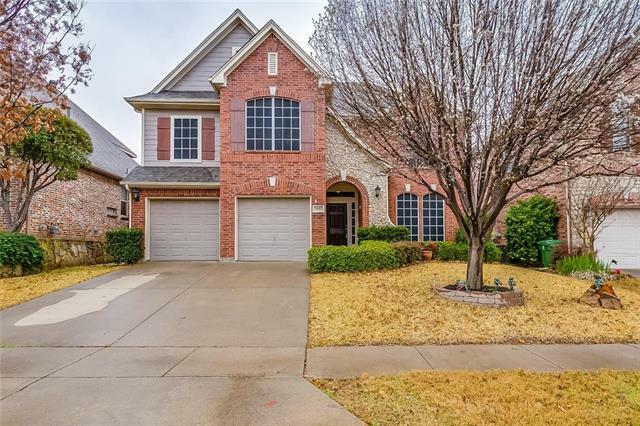 This 5 bedroom, 4 and a half bath, 3 car garage home has great curb appeal and plenty of parking with the porte-cochere drive way. The estate style is carried throughout the home with the grand entrance and 4 fireplaces throughout the home. 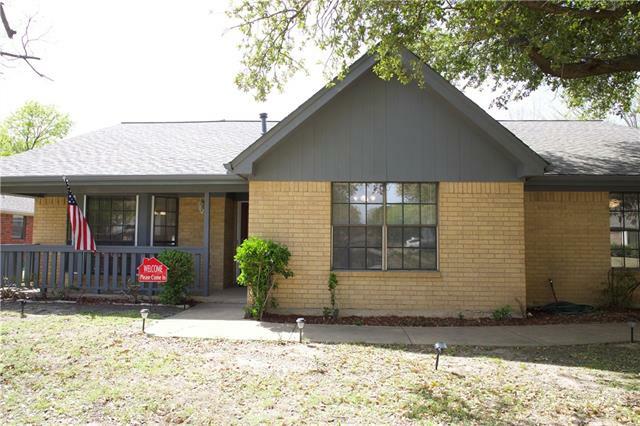 Home has been beautifully updated with neutral colors, granite countertops, and stainless appliances. Master retreat was wood-burning fireplace, wood floors and spa-like bathroom. Backyard is complete with l"
"Megatel Homes' Atlantic plan is 3,302 sf, 4 bed, 3 full bath, 20x10 gameroom, 2 car. MOTHER-IN-LAW SUITE DOWN WITH ATTACHED FULL BATH AND EASY ACCESS TO REAR COVERED PATIO. 18x15 large master up. Huge 14x16 nook plus formal dining area. Kitchen features huge island with breakfast bar, QUARTZ countertops, SS Whirlpool appliances, gas cooktop vents to outside. TRANE 16 SEER+ AC, Moen faucets throughout, full sprinklers, full gutters. $625 annual HOA includes front lawn care. Close to Northeast Mal"
"Exceptionally well laid out with 3-way split bdrms.Master has fireplace & lavish bath.Second & third bedrooms share bath.Fourth bedroom has full bath & desk.Note all custom,walk-in closets.Beautiful wood floors in traffiiced areas.Skylights in second living,gameroom,or excercise area w half bath servicing pool.Extra large,back-entry garage w storage,Enjoy low maintenance -thousands of dollars in landscaping-the large diving pool, pergola,fish pond & geeen house.Built for grow'g family or length"
"SHOW STOPPER, SPACIOUS & GREAT LOCATION! 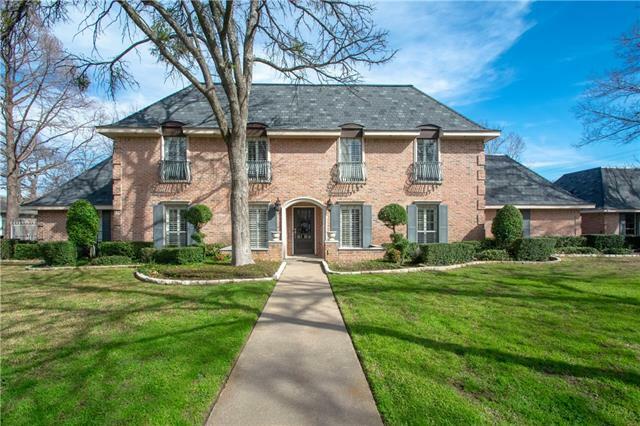 This meticulously owned gem is nestled within mature trees off of a quiet cul-de-sac. Floor plan offers everyone their own space to relax with 4 BR, 2.1 BA, Game room, & Bonus Rm. 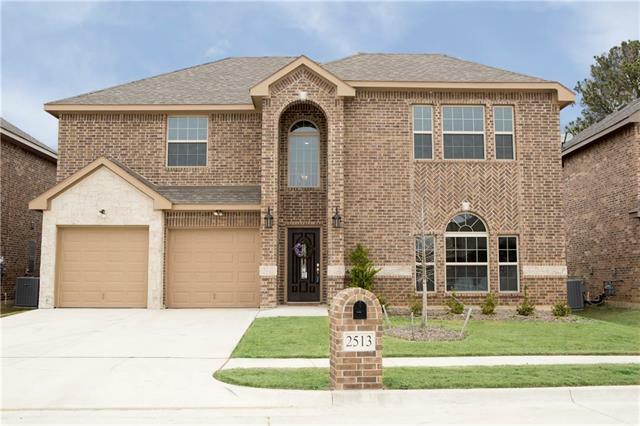 Additional Charming features to enjoy include: Over-sized Master Suite with sitting area & fireplace, Deluxe Kitchen with tall ceilings, huge secondary BR's & extended backyard patio! Close proximity to walking, & biking trails. Whether you choose to enjoy the indoors or out, y"
"Megatel Homes' Pacific Plan one of the last homes available in this quaint enclave of two story, zero lot line homes. 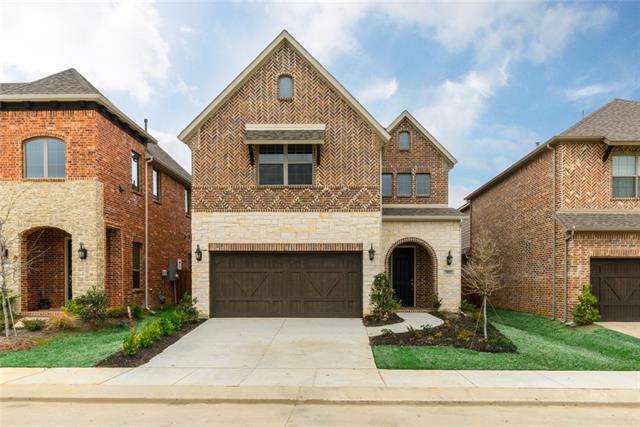 The home is the former model and is filled with upgrades: Gorgeous hardwood floors, mosaic backsplash, upgraded granite countertops, and a beautiful custom wood and glass front door. Featuring four bedrooms and 3 full baths, large living room with fireplace, 2nd floor game room and state of the art media room with 5.1 sound sound (speakers not included). 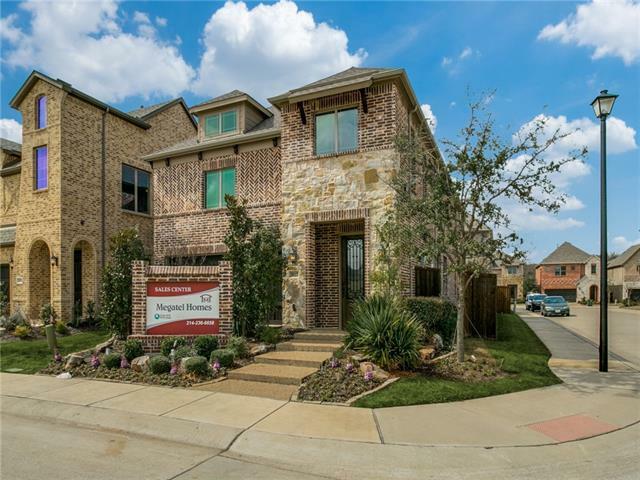 This home is situated on "
"Megatel Homes' Milan is a spacious, Luxury Garden Home in a wonderful location near Shopping, Restaurants, and DFW Airport, You will find yourself loving this home. It has a beautiful Gourmet Kitchen, Large Game Room, located in a cul-de-sac. Very quiet and charming." "Enjoy easy living on this quiet cul-de-sac. Spend afternoons under the covered patio & sun filled back yard with outdoor kitchen. 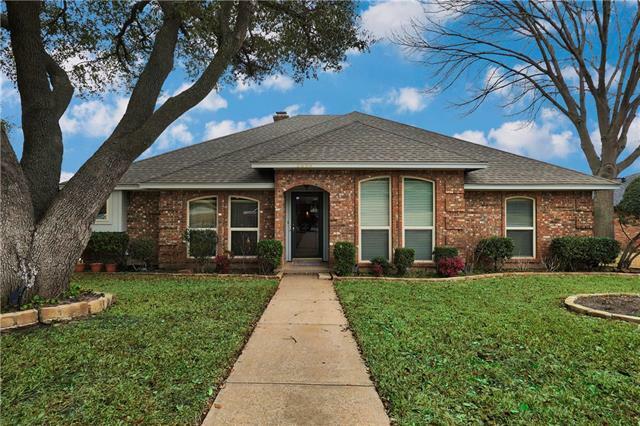 Features of this home are a light filled formal dining with large bay window, all 4 bedrooms downstairs with only a game room and half bath up. Don't let this sweet opportunity pass you by!" "Megatel Homes Milan plan features 3 bedrooms and 2.5 bath with the master down. This Bronze level home features such features as contemporary porcelain tiles on the first floor, coiffered ceilings in the master and dining room. And a book nook overlooking foyer. The large 2nd floor gameroom offers ample space off of the two upstairs bedroom. All Megatel Homes feature a 1year warranty, 2-year warranty on plumbing, electrical and HVAC and a 10-year structural warranty on the foundation "
"Beautiful 4 Bedrooms, 3 full baths Home in Exclusive Bedford Parc Gated Community. Prestigious gated community where all the front yards are maintained by the community HOA. Master bathroom has separate vanities, his and her closets. Guest room are downstairs and 2 other secondary bedrooms and a full bath upstairs, along with a large living space. Laundry room has its own Kohler porcelain double sink, and is equipped for both gas and electric dryers. Massive walk-in attic for storage, Covered p"
"Love to Entertain? Need a great workshop? This home has an abundance of indoor and outdoor entertaining space! Updates include granite counter tops, new stainless appliances, luxury vinyl plank flooring, new carpet in bedrooms. Living Room with a wood burning fireplace, large Gameroom with wet bar opens to a 21 x 30 covered patio, Beautiful Master Suite. Roof 2 months old. This home is loaded with custom built-in cabinetry. Car enthusiasts or woodworker's dream with this great garage - shop comb"
"CLOSE OUT ON NEW HOME. PRICE REDUCED$10,000!!! Fall in love with this beautiful MOVE IN READY NEW BUILD LOCATED IN THE HEART OF BEDFORD. LOCATED ON CUL-DE-SAC STREET!! 4 spacious bedrooms with Master Bedroom downstairs! Amazing Closets in ALL rooms! Granite counter tops with stone back splash, stainless steel appliances, built in microwave, gas cook top, pantry, etc. Beautiful decorative lighting, sprinkler system and landscaped. Home also features tank-less water heater. This home is convenie"
"Immaculate single story home on cul-de-sac with too many updates to mention. New hardwood floors June 2018, new kitchen appliances and granite throughout 2017, new Bryant 18 seer HVAC system 2015, new windows throughout home 2011." "Sensational home with open, inviting floor plan and brimming with stylish and functional design elements. Includes both formal and family living areas with adjoining wetbar. Kitchen with built-in stainless oven & microwave, glass cooktop, travertine backsplash, exposed wood beam ceiling, and sky light. Split master with vaulted ceiling, private backyard access via elegant French doors, and serene bath with wrap-around his & hers vanity, frameless glass shower, and separate whisper-jet tub. 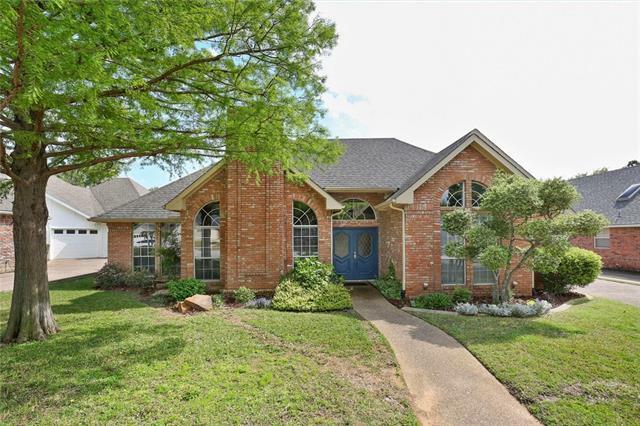 Re"
"Immaculate home in Gated Community, includes 2 beautiful ponds and walking trails. 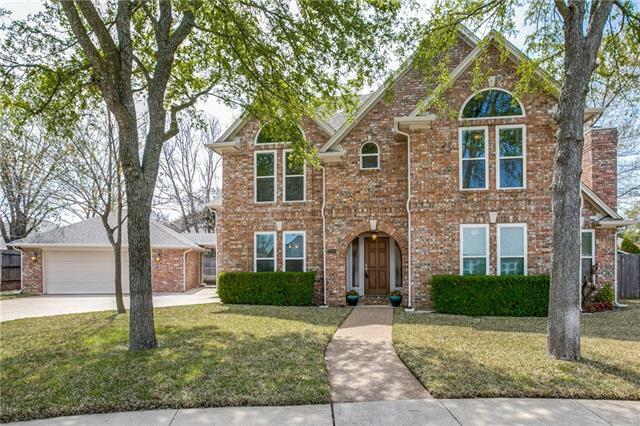 Minutes from DFW Airport. 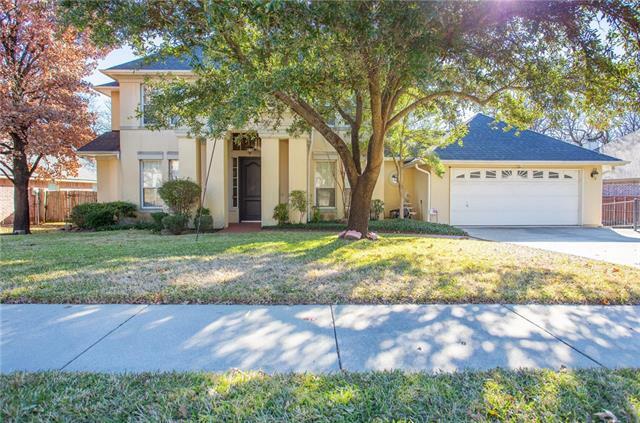 Come see this gorgeous 3 bedroom, 2.5 bath home which has so much to offer. There is beautiful flooring throughout, a huge spacious kitchen with tons of cabinets and storage, an office-den, great space for 2nd living or game room upstairs, great upstairs master suite, attic has been finished out for tons of extra storage, new roof in June of 2018, solar efficient blinds, low maintenanc"
"Welcome Home to this Gorgeous 3131 sq. 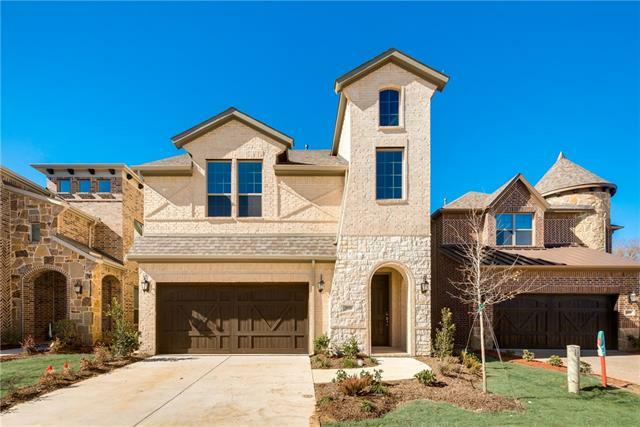 ft. of fabulous, stunning features, A 2 story, 4 bedroom, with master on first floor. Gorgeous ash cabinetry, with stainless steel, and granite in the kitchen. 20 foot high entry hall, Featuring a huge game room, A projector with a big electric screen. Central sound system, Fireplace is gas and with a press of a button a beautiful fire appears. The pool has been winterized, and the yard has custom landscaping. Lounge at the pool while viewing the relaxing"
"Nicely updated, David Weekley home in Bridgeton on the Creek. Huge, open concept with hardwood and tile floors in main living areas. Lovely, eat-in kitchen with stainless steel appliances, breakfast bar, abundant cabinets and vast counter space. The front study offers an excellent space for additional living or dining to fit your needs! Private master suite with sitting area, spacious closet and bathroom hosts dual vanities, jetted tub and seamless shower glass. Oversized secondary bedroom almos"
"Super charming one story home in a desirable and established neighborhood in the heart of Bedford. This N Bedford beauty boasts everything on your wish list & more! Driving up to this beauty, you can't help but be impressed with the professional landscape. New AC, roof with Gerard Stone Coated Steel Shakes with transferable warranty. This home has so much character. Gameroom with wet bar, Formal Dining Room, Large Kitchen, and Dinette Room. Two car garage with insulated garage door, concrete bo"
"MUST SEE! Beautiful one story spacious updated home with 4 bedrooms with 2 master suites, 3 updated full bathrooms and office or study. Kitchen has granite and stainless Appliances. Lovely backyard with mature trees and large grass area for kids to play. Salt water large pool and a lot of patio area great for entertainment! 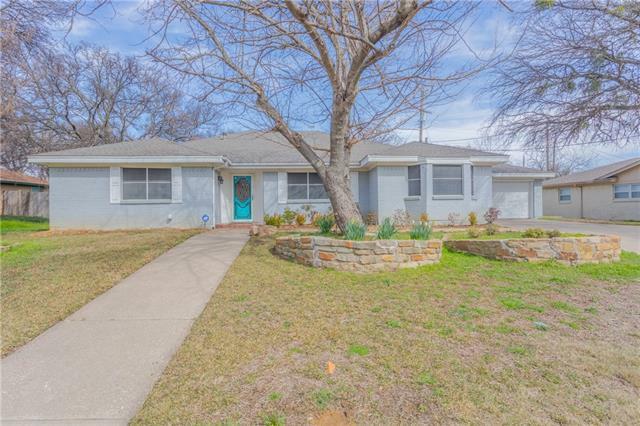 This terrific home is located an established street close to local freeways for easy commute. UPDATES ALSO INCLUDED: NEW WINDOWS AND DOORS (Sep.2018), SALTED WATER POOL (ma"
"The Anti-Cookie Cutter! 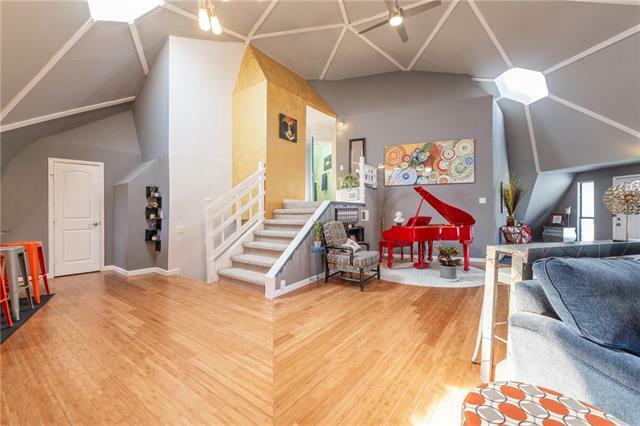 This Geo-Dome house with updates throughout has an open floor plan for entertaining, split level floor plan boasting two bedrooms upstairs including a second master, the true master downstairs, staying cool in the summer and warm in the winter. The downstairs master has a jetted tub, separate walk in shower with custom tile, and opposite vanities, or as I call it, A Marriage Saver. The master suite is topped off by a large walk in closet with built in shelving. If that wa"
"Great Neighborhood in North Bedford! 4 Bedroom 1 story with Pool beautifully landscraped! 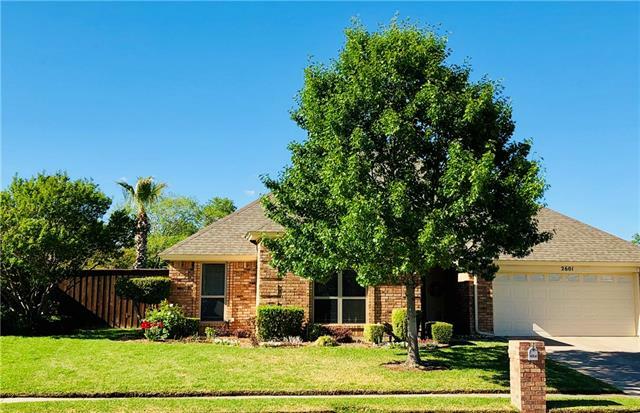 Well Maintained with numerous upgrades including all windows replaced, updated appliances in Kitchen with Island, granite, Lots of windows in Kitchen and breakfast dining looks out to private backyard Pool, Pergola and covered Patio. Sprinkler system. 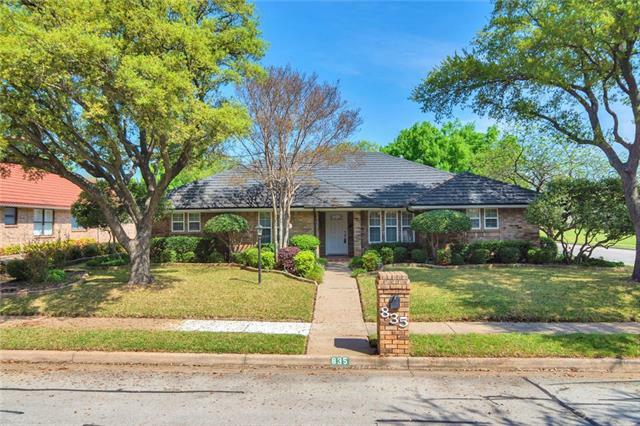 Split Bedrooms, Large Master and Master Bath recently updated Shower and numerous more upgrades. 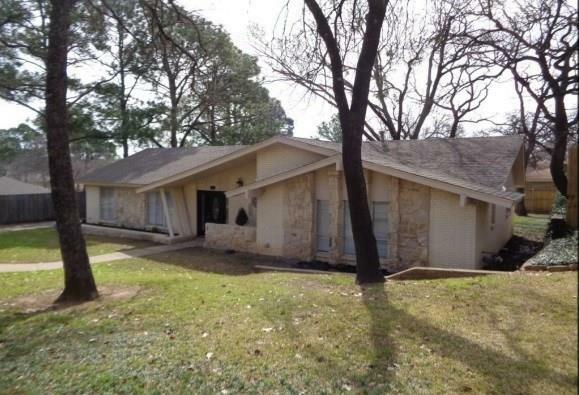 Located near Parks, Resturants, shopping and DFW Airport. 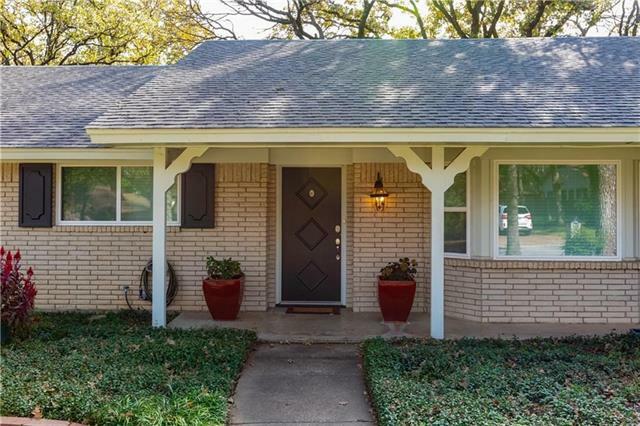 H"
"This is THE.PERFECT.HOME in the heart of the metroplex. This home is complete with 3 bdrms, 2 baths, an oversized POOL, 2 living areas, 2 dinning areas, an outdoor oasis with a large bar area and a gated rear entry garage. 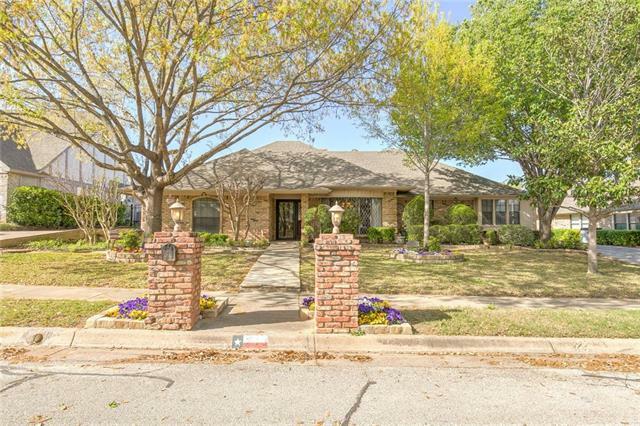 It's in the award winning HEB ISD and is 10 minutes to DFW airport, 20 minutes to downtown Fort Worth and 25 mins to downtown Dallas. You dont want to miss the opportunity to see this home!!!" "Back on market due to buyer's financing. Beautiful home! Updated kitchen and bathrooms with granite or quartz counters and vanity tops. New stainless-steel appliances, updated contemporary cabinetry with shaker style doors and brushed nickel pulls. Custom master bath with new porcelain shower surround and custom vanity. 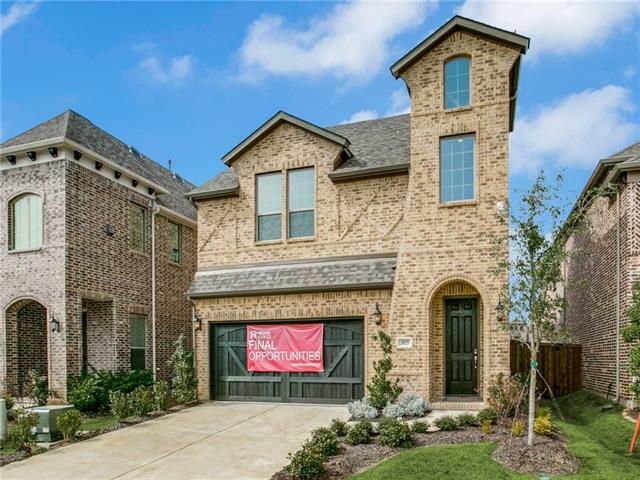 All new wood & tile flooring, light and plumbing fixtures with new brushed nickel hardware throughout. Meticulously painted inside & out! All popcorn ceilings removed & retextur"
"Gorgeous home located in a quiet and well established neighborhood. With 4 beds and 2.5 baths, there s plenty of space for everyone. 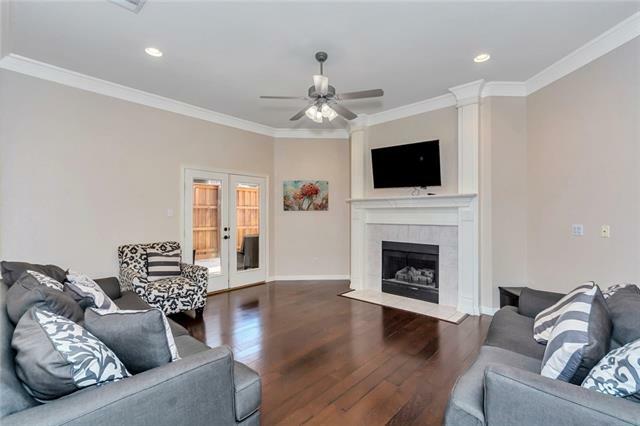 Large living room features a corner brick fireplace and eat-in kitchen comes with granite counters, plenty of built-ins, and a breakfast bar for extra seating. Separate utility room with washer hookup, cabinets, folding table, and sink. Oversized master bedroom has his and her closets and entry to back patio. Huge backyard is the perfect place to host summer part"
"Great North Bedford neighborhood! 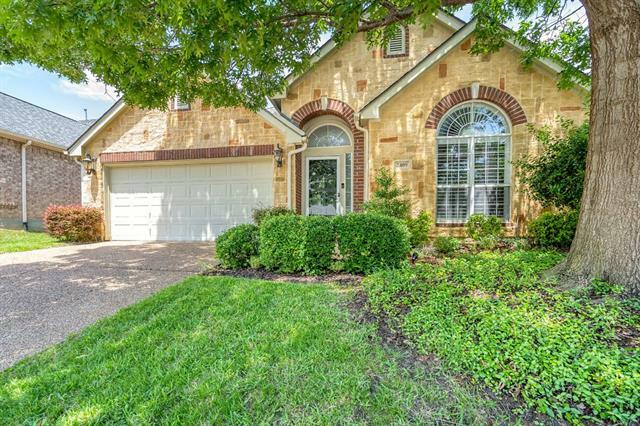 Beautiful, updated two story home in highly desirable area and award winning HEB ISD! Large living space with attached dining room, second living space attached to spacious kitchen with breakfast area adjoining. Large master bedroom with sitting area, master bath with garden tub and separate shower. Beautiful engineered wood floors through majority of the home with ceramic tile in kitchen and bathrooms. Large backyard with covered patio and the perfect place for"